An email sent to this address is "broadcast" to the entire list. This email system is set up for better communication between all of us. Do not be afraid to use it. Because the list is actively maintained, your message will reach all the Troop 68 families. High Adventure Trips: Our scouts have taken part in once in a lifetime chances to experience the very best scouting has to offer at the most beautiful places on earth. New Members are always welcome, membership is open to boys who have completed fifth grade or are 11 years old. If you are interested, please call or e-mail our Scoutmaster, Mr. Abrahamson, at 203-459-0482 or scoutmaster@troop68bsa.org. We'll invite you to a meeting or two so you and your parents can see what our program is all about. 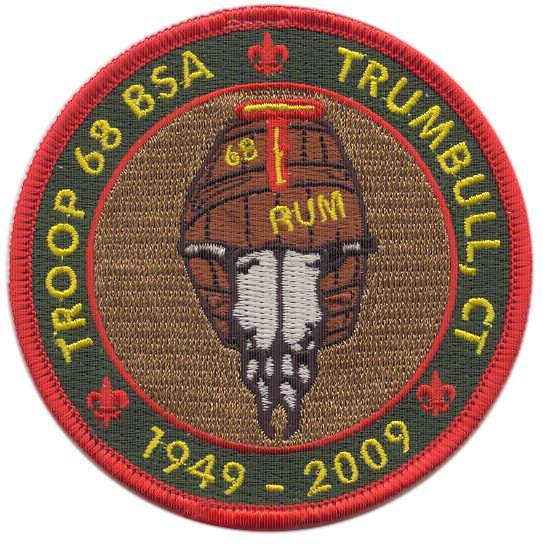 You do not have to live in Trumbull or belong to St. Theresa Church to join the troop. All Scouts and parents in Troop 68 should join the troop email list - important announcements about activities are sent out each week to all members. To subscribe or unsubscribe, please email your contact information to: scoutmaster@troop68bsa.org.